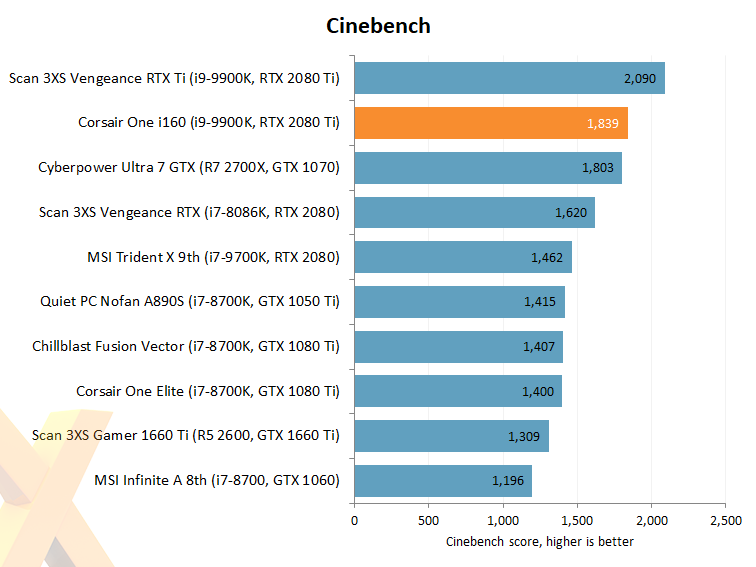 There's no two ways about it, if funding isn't a problem, an Intel Core i9-9900K is a mighty CPU for a modern desktop. 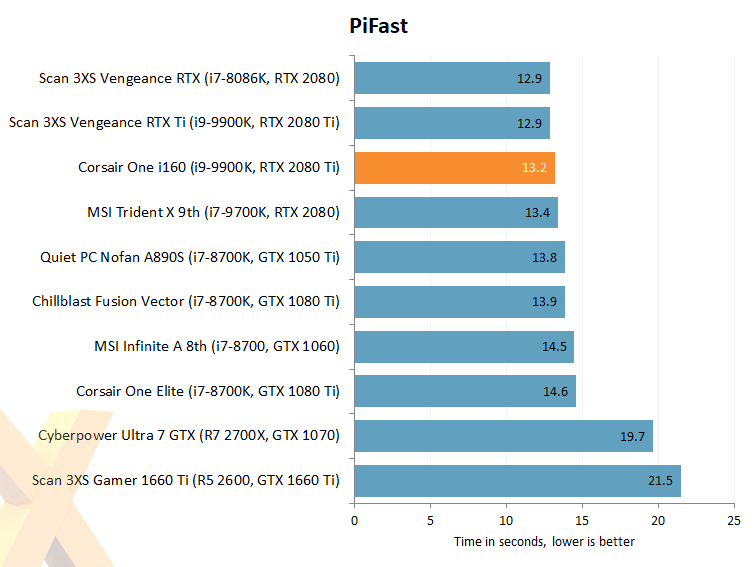 Both single- and multi-thread performance are excellent, however there is one small caveat in that the Corsair One i160 wasn't able to maintain peak speeds throughout the tests. 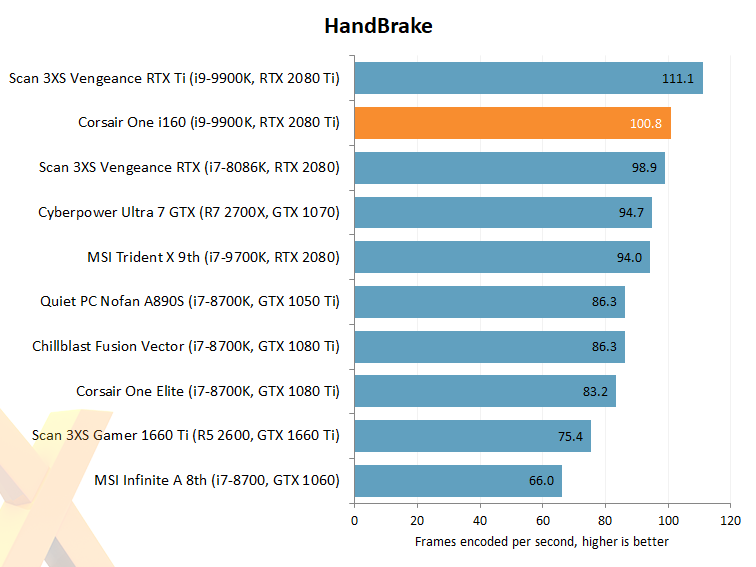 Our logs reveal that all-core frequency did eventually drop to 4.1GHz during the demanding Handbrake benchmark.